This annual wildflower is native to the rocky slopes and cliffs of southern California and Arizona. 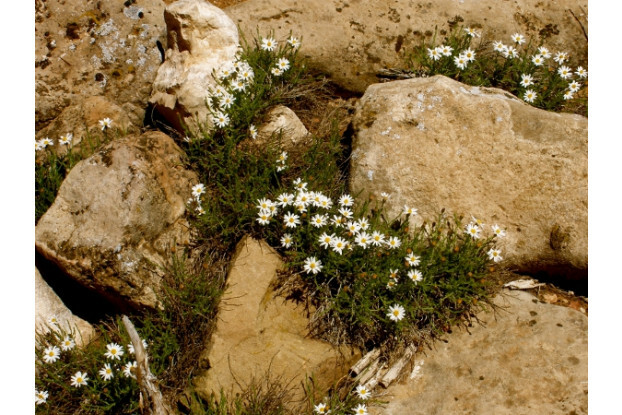 Desert Daisy is extremely drought tolerant and prefers full sun in well-drained, rocky soil. Like its name implies, it produces a daisy-like white flower with a golden center and usually does not grow taller than a foot. This long lasting bloomer can flower from February all the way through October. It is a perfect addition to a rock garden or any other hot, dry area.